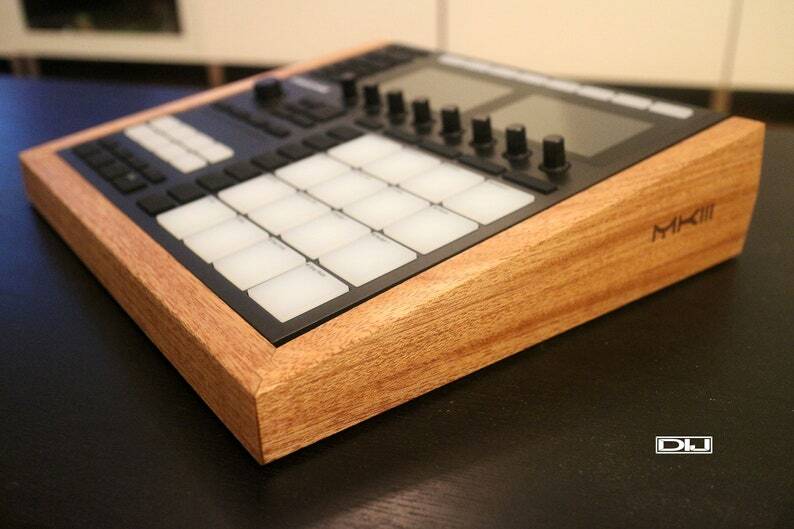 This beautiful wood enclosure is made specifically for the Maschine MK3. This is our first introduction with this unit for 2018. We designed a closed front end that has been mitered, plus we used traditional joinery to strengthen the miter joints even further. The rear of the enclosure has a unique black texture that blends in with the exterior of the Maschine MK3, making it look and feel like it is one complete piece when viewed from the back. As an option, we are going for a futuristic approach with this wood enclosure by laser engraving MKIII on both sides. 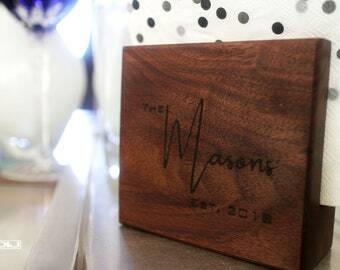 We have used only the highest quality Mahogany wood and preserved with the best poly oil wax. Others selling similar enclosures are using soft inexpensive woods with a stain of your liking. The reason we chose this species of wood is because we feel it not only accentuates the instrument, but its color gives it a wonderful contrast. All in all, our enclosure becomes part of the instrument and creates one elegant component that any dj, producer or music enthusiast would be happy to own. Unlike our competitors who offer an open space in the interior of the enclosure, we have devised an enclosed structure that you can use to store manuals or small items depending on the unit itself. New in 2019, We had several request to have the enclosures to be darker, so will be offering Walnut as an option. Note that walnut prices has increased, which we have no control over. The price will reflect if you choose walnut. -- Please DO NOT request us to paint, use any colored stains, gloss or dyes in our products. We feel that its covering the beauty of wood and as stated earlier we use clear Poly oils only to bring out the grain and giving the professional look. --Please note: The Maschine MK3 is not part of the listing. It is being used for demonstration purposes only due to inherent nature of woods that vary in tone, color, and grain. Each enclosure is unique in nature. --Shipping: $24.99. Will ship to contiguous states only. --We have been receving several messages to ship outside United States such as Hawaii, Canada, UK, Germany and Russia. Send us a convo and will quote an actual shipping charge. --These are handcrafted in the USA and may take 1 - 2 weeks to ship. If in stock, we will ship immediately. this is a work of art, I got pictures of the whole process and it came in nicely packaged with a lovely note. Thank you DIJ for this beautiful piece !